Tomato and pepper plants: thriving. Peas, zucchini, spaghetti squash, radishes: sprouted and doing well so far. Garlic: not sure I’ll get much considering I planted it late, but there are greens growing so I’m calling that a win. Carrots… no idea. I’ve never grown carrots before, so I’m not sure what their little sprouts look like compared to the weed sprouts popping up. Last night the Little Mr and I went out and weeded. Well, I weeded. He pulled dirt out of my raised beds. Weeding around the plants was the easy part – you know what you planted, and you know where it is, so you know what not to pull. Weeding the radishes and peas was trickier – I wanted to wait until they were more established so I didn’t disturb them too much, which meant letting the weeds grow more than I would have liked. But last night it was finally time to clean them up, and clean them up I did. 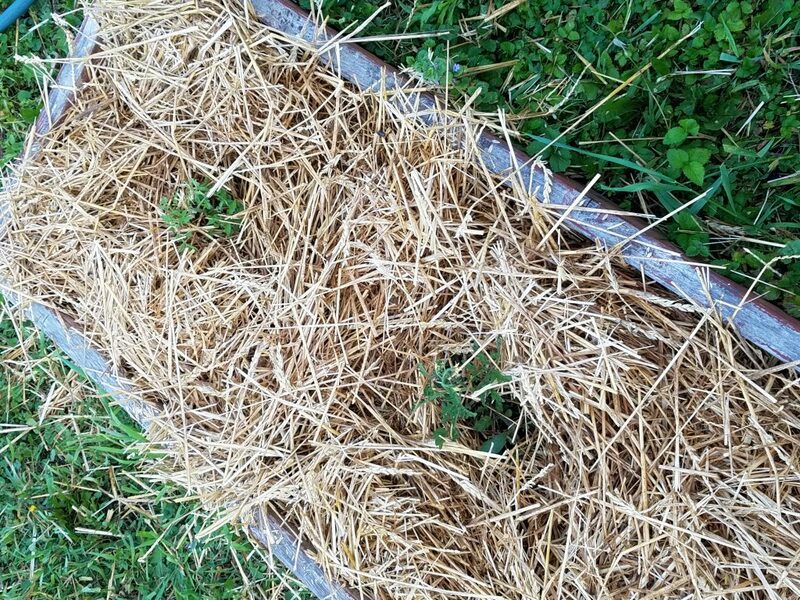 I poured some compost around the beds, then laid newspapers down, then straw on top for mulch. 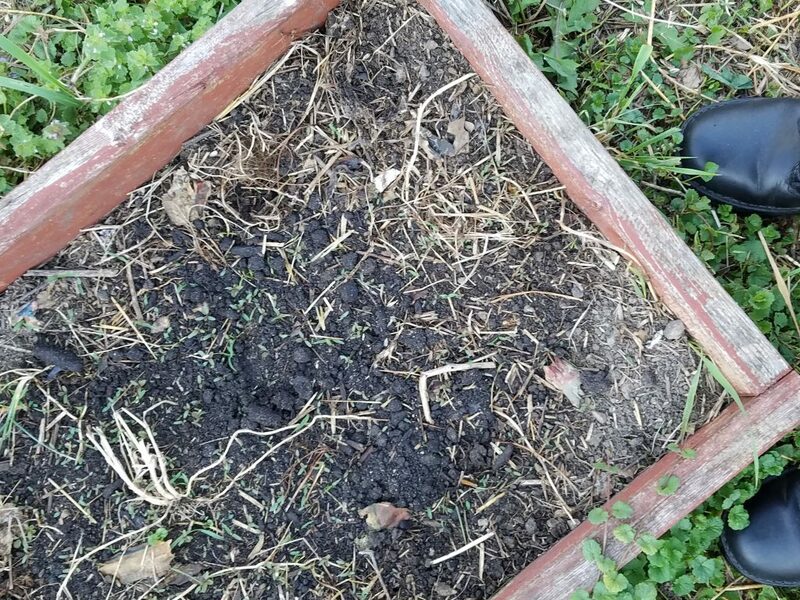 The problem with basically having two half-assed years of gardening from pregnancy/new motherhood stuff was that the weeds have gotten out of control. So now we’re left with hard work to try to beat them back and control them a bit. The garden is, overall, pretty ugly this year. It needs work. Lots of work. But the toddler wants to be outside every minute of every day, so it makes it easier for me to force myself out there to do the work… and it’s proving to be a good learning experience for the Little Mr. He’s loving finding the worms in the beds and watching things grow and helping water them in the evenings.